Mini Pinata. Gold Celebration Party Range. Pink Celebration Party Range. Table Decoration. Party Napkins. Party Tableware. Party Bags. Party Boxes. Unicorn Party Pinata from Fax Potato. Crafted from cardboard, these decorative pieces are lightweight enough to be hung from any ceiling or surface. A cut-out opening in the top allows you to fill the pinata with your choice of sweets, candy or any other treasure, which your guests can then take turns attempting to unleash! Peppa Pig Pinata. 1 x Peppa Pinata (33x 46cm). Everyone Loves A Party Pinata. Simply Fill With Sweets, Small Toys Or A Prize Of Your Choice. Sweets Not Included. Pull The Strings. The Perfect End Of Party Treat! These bubbles are ideal party bag fillers. 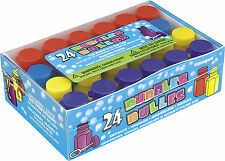 Each bubble pot contains 17.7 ml of bubble liquid. Each bottle is a hexagon shape. Each bottle 5 cm in height. Find the booty in our Treasure Chest Pinata! Resembling an antique pirate's chest, this cute pinata features handle, lock and brass band details. Make your pirate party even more fun with this pinata! MINI LLAMA PINATA. IDEAL FOR ANY CELEBRATION. 10" X 7" APPROX. Baby Shower. Party Supplies. Wedding Products. Adult Party. Kids Party. Bash this Flamingo pinata to find the treats hidden inside! Pink Flamingo Party Pinata. Bash this rainbow pinata to find the treats hidden inside! Sold empty, needs Pinata fillers like sweets and toys. This is a traditional style of pinata which needs to be broken open, at approx 38cm tall and in bright red with green and yellow accents plus it's big blue beak, it would make a great centrepiece at a beach party or even for those scurvy pirates! Baby Carriage Pinata. Our mini Baby Carriage shaped pinata is a must have at any baby shower. it's a great way to get all your guests involved in the celebration for the baby and mother-to-be. ---Each of these fantastic piñatas is approximately 18.5" in diameter ---Features an incredible Star Wars themed illustration featuring Darth Vader, C3PO and R2D2 and is decorated with red and blue crepe paper. 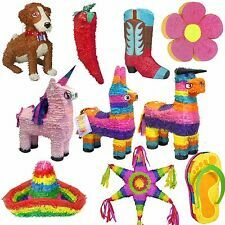 ---To use the piñata simply pull the tags around the piñata to expand and lock it into shape and fill it with sweets and treats. 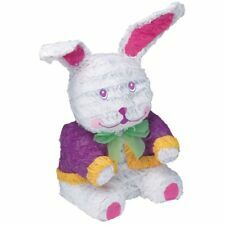 ---This fantastic Piñata is a pull piñata and only pulling the right string will activate it. Lion Pinata Product Details Get the party fun started with this cool lion piñata. In vibrant shades of yellow and orange, it’ll brighten up any celebration. Party Supplies. 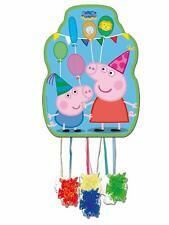 From our collection of party pinatas, this is a delightful version for younger children. The idea of the pull strings is to provide a fun and safe alternative to the traditional 'break open' pinatas. Donkey Party Pinata from Fax Potato. Crafted from cardboard, these decorative pieces are lightweight enough to be hung from any ceiling or surface. A cut-out opening in the top allows you to fill the pinata with your choice of sweets, candy or any other treasure, which your guests can then take turns attempting to unleash! Great looking and sure to be a hit, no pun intended, with all of your guests it's ideal for filling with sweets or small unbreakable gifts plus a little flutter confetti for the best effect. Piñata Toy Filler. 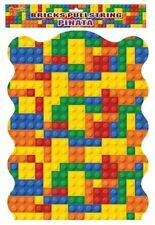 Complete your Childs Party with our. Top quality, best design, stick is around 50cm long. Made with quality material. Dinosaur PINATA. Fill the opening with party treats (not supplied). Bash the pinata to find the treasure hidden inside! Bull Pinata. 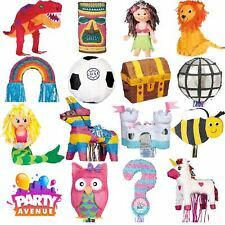 Sold empty, need s pinata fillers like sweets and toys. Bash the pinata to find the treasure hidden inside! Princess Castle Pinata. Sold empty, needs Pinata fillers like sweets and toys. 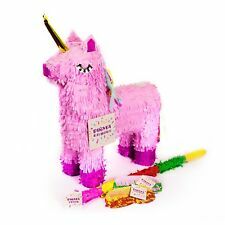 Fortnite Llama Loot Pinata Decoration Epic Games Officially Licensed NEW!